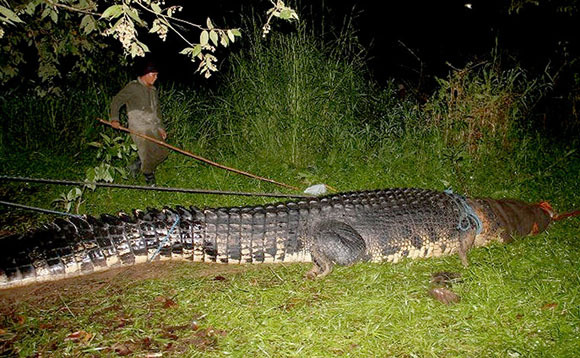 Crocodile caught in Philippines over 6 metres long! 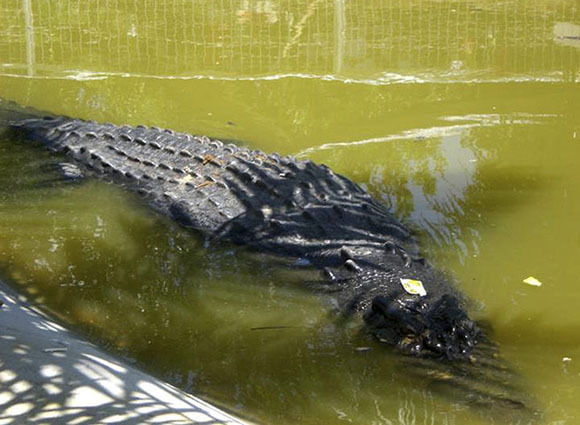 The chances are you weren’t planning to go swimming in swamps over in Philippines, but just in case this story will definitely put you off for life! Villagers in the town of Bunawan have recently captrued a saltwater crocodile that measures 6.4 metres (21ft) long and weighs over 1,000 kg! Naturally the crocodile had been seen as a big threat to the people living round there and was thought to have already attacked people. It’s certainly not a creature you would want to bump into at night – or any time for that matter! 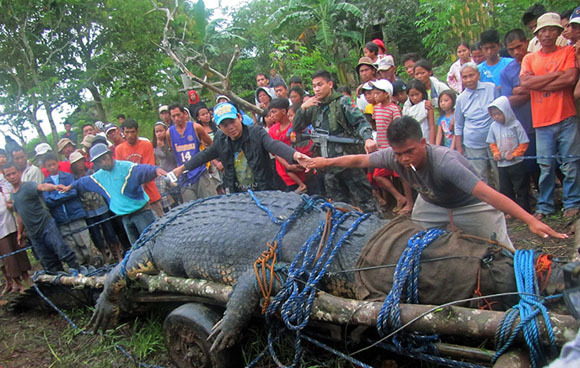 The crocodile, now called Lolong, is currently living in a caged pond near Consuelo, and wildlife officials are trying to confirm whether it’s the largest such catch in the world.